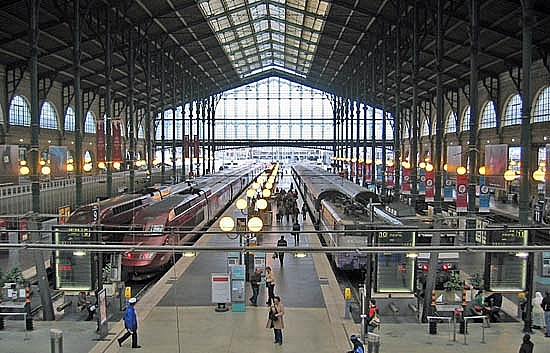 Gare du Nord station: an example of a sustainable building that despite all the changes in public transport in the course of time, still fulfils its original function. 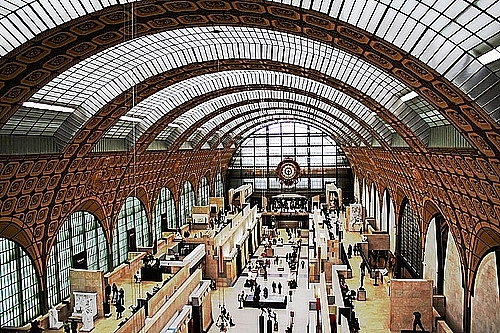 Musée d'Orsay was also once a train station, but for several decades now has had a different public function. 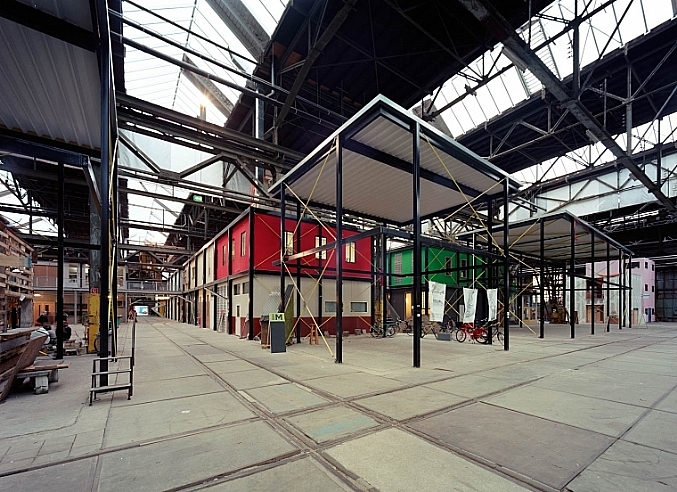 The Castalia office building in The Hague is a model of the reuse of a steel skeleton in an existing building. The supporting structure of the state-owned Transitorium building dating from 1965 was given new facades in the mid-90s. Conservatories and two large steel pitched roofs were added. 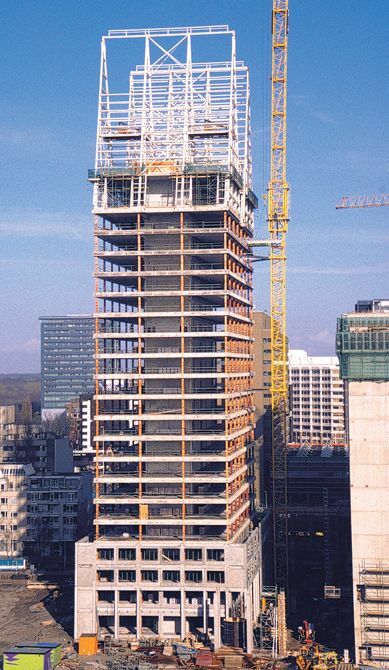 The steel frame with concrete floors proved strong enough to take on the extra loads. 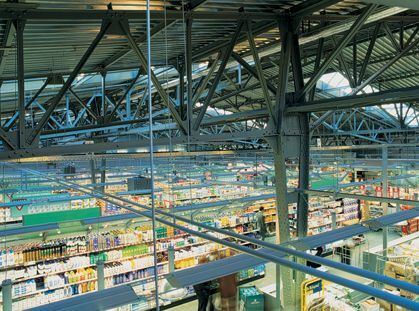 Only a few columns had to be reinforced using steel angle. 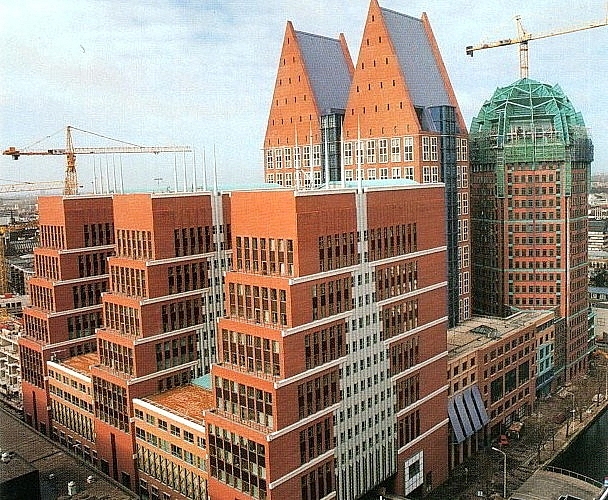 As "Castalia", the building now functions as offices for the Department of Health. 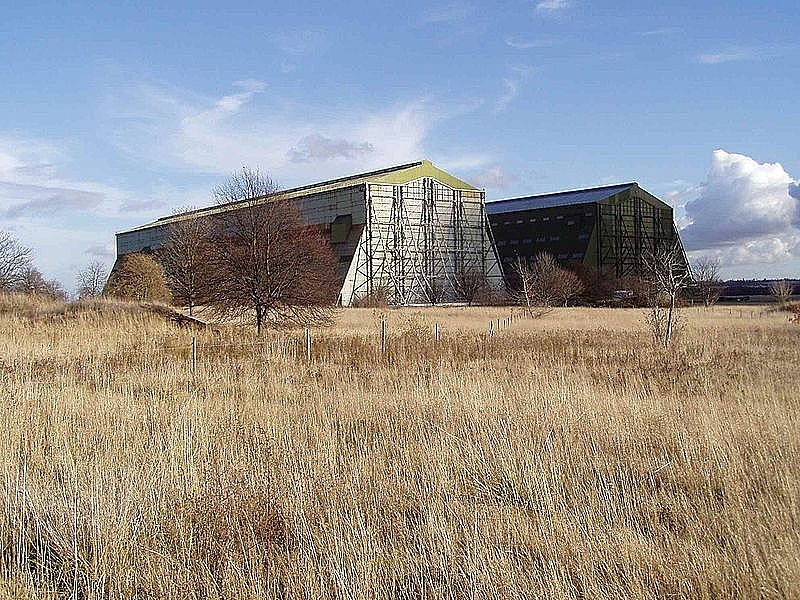 These two huge hangars in Cardington (England) were used for building zeppelins in wartime. The buildings lost their function following the collapse of the airship industry. One of the two was initially in Pulham, but was moved to Cardington in 1928. The entire 3270 tonne steel structure was dismantled and reassembled. 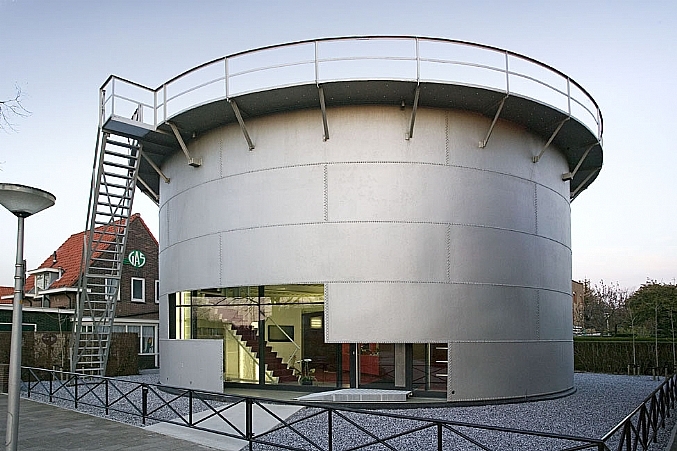 The hangar currently houses a Building Research Establishment (BRE) test facility. 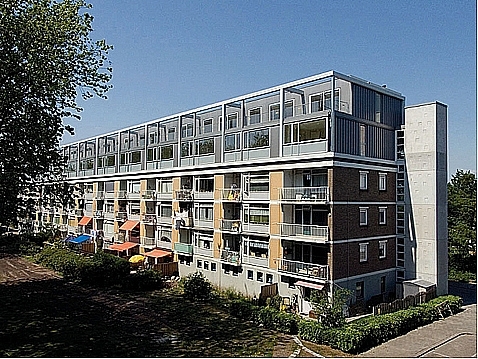 A Dutch example is the Braziliëloods in Oostelijke Handelskade (Eastern Docklands) in Amsterdam. 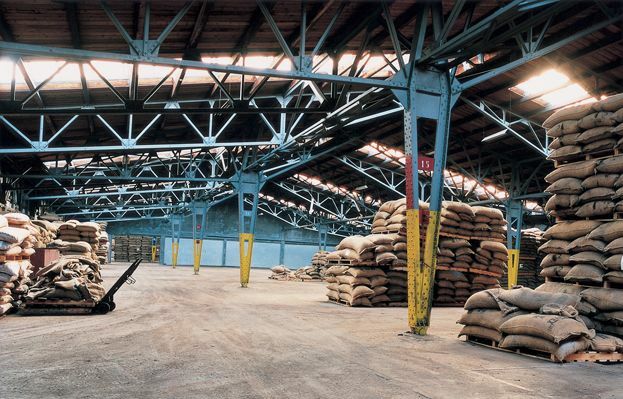 After 80 years of service storing cocoa beans and coffee beans, the steel structure was dismantled to its original components in the late 90s. The components were recoated and reused for reconstruction in the same configuration. Since then the shed has had a second life as a shopping centre. Cladding lends itself very well for reuse on another building. 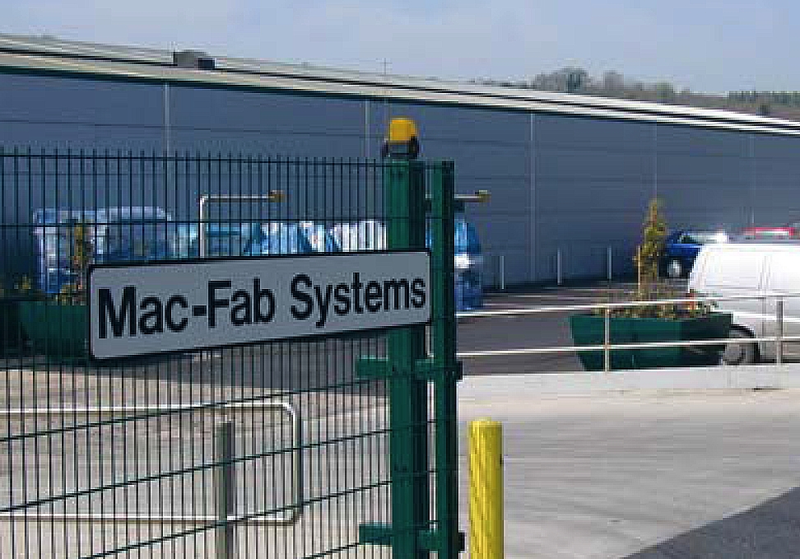 An example is the renewed use of the steel siding of a large department store on the Mac-Fab Systems production unit in Ireland.